Vigan, capital city of Ilocos Sur, unknown to many, is an island detached from the main island of Luzon by three rivers: Abra River, the Mestizo River and the Govantes River. It's an old trading post in pre-colonial sites that dates as far back as China's Sung Dynasty where Chinese junks rule the sea lanes before the arrival of Spanish galleons. 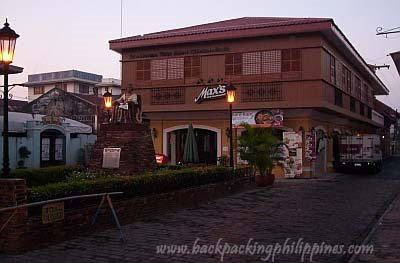 The city is the most preserved example of a Spanish colonial town in Asia, with its cobblestone streets and a unique architecture showcasing fusion of Asian building design and construction with European colonial architecture and planning. This has earned listing as a UNESCO World Heritage Site. Pottery Making (Burnay) Pagburnayan where traditional Vigan jars, called burnay, are made. Commute by Bus to Vigan is easy via Philippine Rabbit Bus Line, Dominion Bus Corp., Partas Trans. Co.